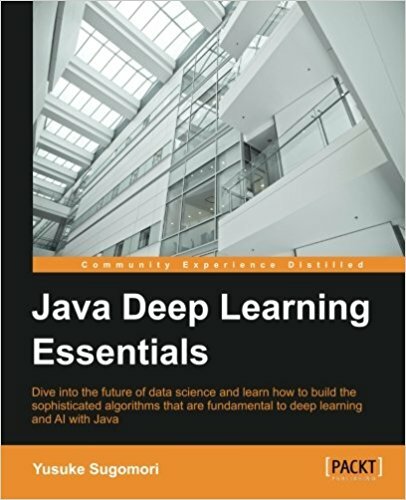 Dive into the future of data science and learn how to build the sophisticated algorithms that are fundamental to deep learning and AI with Java About This Book * Go beyond the theory and put Deep Learning into practice with Java * Find out how to build a range of Deep Learning algorithms using a range of leading frameworks including DL4J, Theano and Caffe * Whether you're a data scientist or Java developer, dive in and find out how to tackle Deep Learning Who This Book Is For This book is intended for data scientists and Java developers who want to dive into the exciting world of deep learning. It would also be good for machine learning users who intend to leverage deep learning in their projects, working within a big data environment. What You Will Learn * Get a practical deep dive into machine learning and deep learning algorithms * Implement machine learning algorithms related to deep learning * Explore neural networks using some of the most popular Deep Learning frameworks * Dive into Deep Belief Nets and Stacked Denoising Autoencoders algorithms * Discover more deep learning algorithms with Dropout and Convolutional Neural Networks * Gain an insight into the deep learning library DL4J and its practical uses * Get to know device strategies to use deep learning algorithms and libraries in the real world * Explore deep learning further with Theano and Caffe In Detail AI and Deep Learning are transforming the way we understand software, making computers more intelligent than we could even imagine just a decade ago. Deep Learning algorithms are being used across a broad range of industries - as the fundamental driver of AI, being able to tackle Deep Learning is going to a vital and valuable skill not only within the tech world but also for the wider global economy that depends upon knowledge and insight for growth and success. It's something that's moving beyond the realm of data science - if you're a Java developer, this book gives you a great opportunity to expand your skillset. Starting with an introduction to basic machine learning algorithms, to give you a solid foundation, Deep Learning with Java takes you further into this vital world of stunning predictive insights and remarkable machine intelligence. Once you've got to grips with the fundamental mathematical principles, you'll start exploring neural networks and identify how to tackle challenges in large networks using advanced algorithms. You will learn how to use the DL4J library and apply Deep Learning to a range of real-world use cases. Featuring further guidance and insights to help you solve challenging problems in image processing, speech recognition, language modeling, this book will make you rethink what you can do with Java, showing you how to use it for truly cutting-edge predictive insights. As a bonus, you'll also be able to get to grips with Theano and Caffe, two of the most important tools in Deep Learning today. By the end of the book, you'll be ready to tackle Deep Learning with Java. Wherever you've come from - whether you're a data scientist or Java developer - you will become a part of the Deep Learning revolution! Style and approach This is a step-by-step, practical tutorial that discusses key concepts. This book offers a hands-on approach to key algorithms to help you develop a greater understanding of deep learning. It is packed with implementations from scratch, with detailed explanation that make the concepts easy to understand and follow.